Tibetan Buddhist Monks from Labrang Tashi Kyil Monastery. Thursday, October 8, 7:00 p.m.
What is death and dying in Tibetan Buddhism? Join us, as seven Tibetan Buddhist monks offer a presentation on death and dying as well as a demonstration of prayers, rituals, and dances related to death and dying. In particular, the monks will perform “Chod,” a ritual meditation on death to cut away attachments, and “Skeleton Dance,” a ritual dance of death to cultivate mindfulness of impermanence. 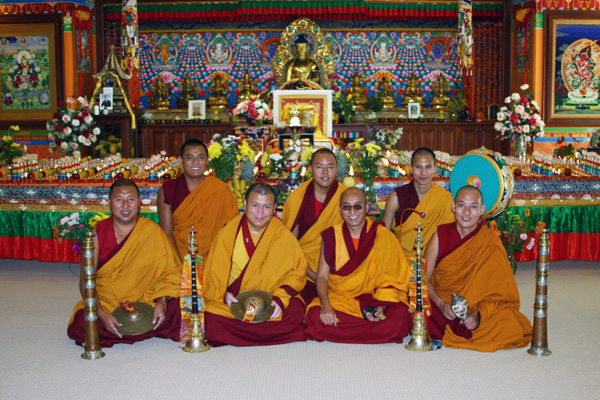 Seven monks from Labrang Tashikyil Monastery in Dehra Dun, India are touring the United States in 2015-16 to teach dharma, educate the public about the culture and religion of Tibet, and to raise funds for their monastery. The tour is being coordinated by the Tibetan Mongolian Buddhist Cultural Center in Bloomington, Indiana. It is the third such tour by the monastery. Dr. Zagoren’s Comparison Project presentation takes the audience on a journey through humanity’s continued confrontation with death, with an emphasis on our attempts to prolong the inevitable. Along the way, the audience will gaze at western society’s attempt to define and depict the dying process, inspect the role that human technology has played in redefining and ultimately confusing the end of life, and look out at the potential impact of future technology. Influenced by the bestselling book How We Die by Sherwin Nuland, Dr. Zagoren’s presentation, like Nuland’s, is grounded in a physician’s observations. But Dr. Zagoren’s presentation travels beyond medicine and science to art and music, underscoring the central mystery that is our death. Dr. Allen Zagoren is Associate Professor of Public Administration in the College of Business and Public Administration at Drake University, where he also serves as Chairperson of the Department of Management and Public Administration and the Graduate Curriculum Committee. 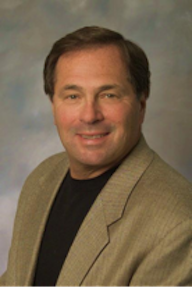 He is a trained General And Trauma Surgeon with subspecialty training in Interventional Nutrition and Wound Healing. He currently serves as the Medical Director of the Wound Healing Collaborative at Unity Point Health System, Central Iowa. Dr. Zagoren’s areas of expertise include health education in health policy and bio-ethics.